The Western Sydney Academy of Sport has had a fantastic few weeks with some of their canoe freestyle athletes attending the National and Oceania Championships held at Penrith Whitewater Stadium. The 2019 National Championships were held over 16-17 February where three Academy athletes competed all coming home with great results. These athletes took part in the Junior men’s canoe freestyle with Christian Hliounakis placing 2nd, Max Christie placing 3rd and Archie Gill placing 7th. In addition, Christian competed in the Open men’s canoe freestyle taking home 2nd place. All three athletes went on to compete at the Oceania Championships the following weekend. In the Junior men’s canoe freestyle Christian placed 1st, Max placed 4th and Archie placed 5th. 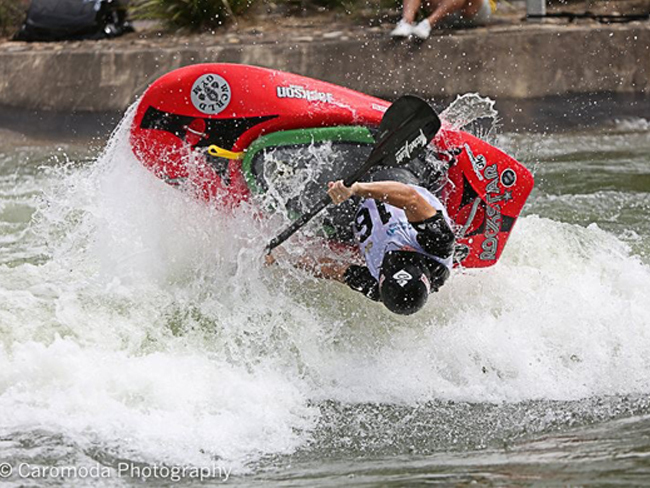 Christian competed in the Open men’s canoe freestyle which resulted with him being named the 2019 Oceania Champion! This year was the first year to include Freestyle Canoe in the Oceania Championships, bringing a truly unique experience for those watching the event. Congratulations on these outstanding results Christian, Max & Archie!